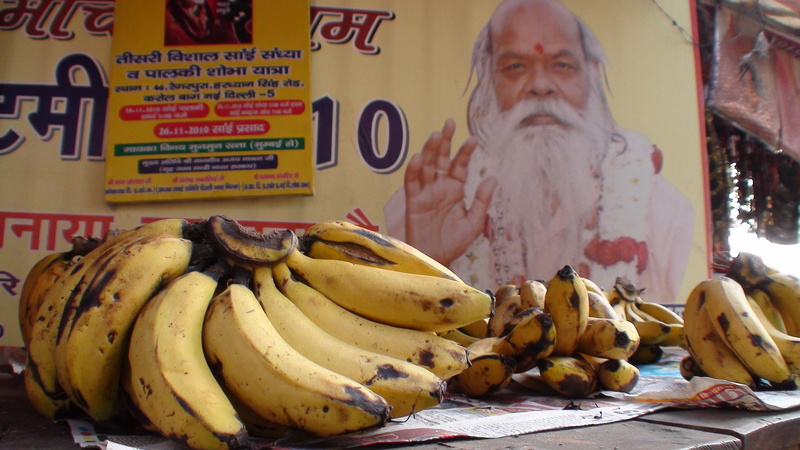 Bananas for sale at a temple in New Delhi. In our rapidly changing world, both cultivated and wild bananas are highly threatened by climate change, deforestation, and a nasty banana-killing fungus. Scientists predict that the current banana industry will collapse within 5-20 years, and many wild bananas are facing extinction… But, there are a few banana lovers out there who might be able to help! One of the major players in MONDO BANANA is former sea captain Markku Häkkinen. In the 1980s, health problems forced Markku into an unforeseen retirement from the sea-faring life. But, bananas saved the day, as Markku decided to embark on a new career – as a specialist in wild bananas. Now in his 60s, Markku has discovered countless new banana species, some of which hold major significance for the world’s endangered banana crops. Markku’s first expedition to the Indonesian island of Sumatra is one of many banana adventures that MONDO BANANA weaves together to paint an insightful and entertaining portrait of an often-misunderstood fruit. Botanists, Hindu priests, farmers, paranormal investigators, chefs, beauty queens and many other banana folk join forces in this unique documentary to peel away the secrets of the banana and reveal why bananas are more important than you could ever imagine.